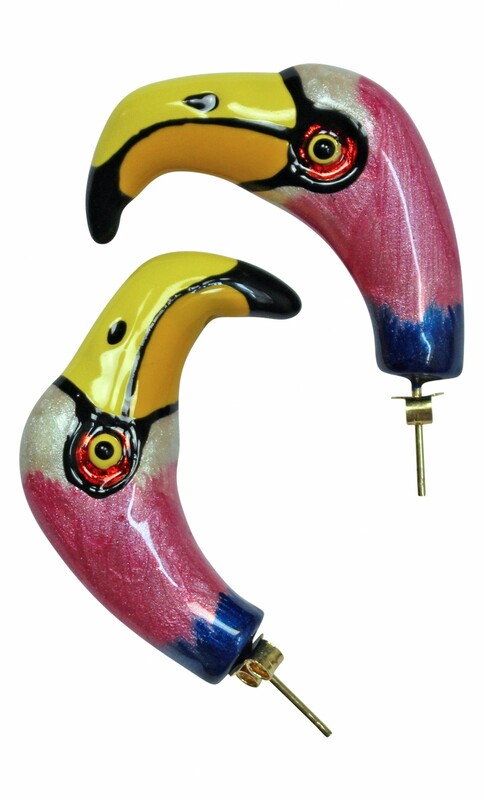 The flamingo shaped earrings are handpainted and crafted in Italy. Features a golden painted end. Made from brass.